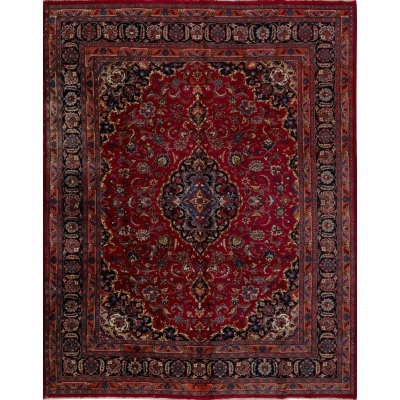 Khorassan rugs and carpets are famous for their fine rugs dating back to the Timurid empire in the late middle ages. 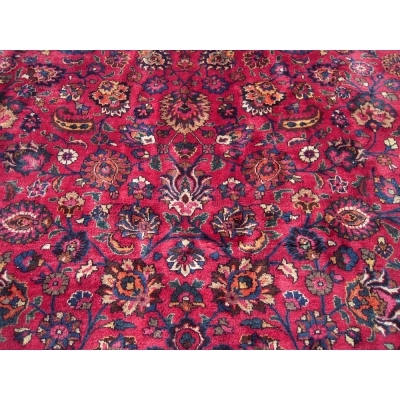 The region lies in northeastern Iran, and its capital city of Mashad is one of the most important rug weaving centers in the industry. 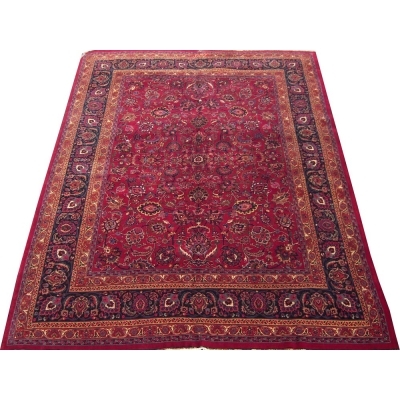 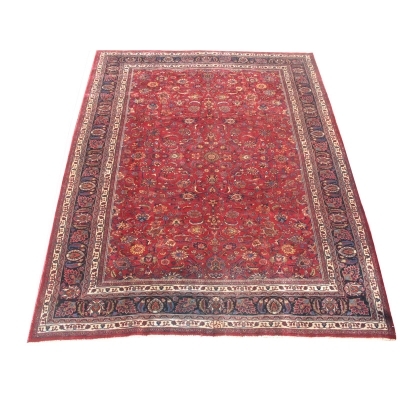 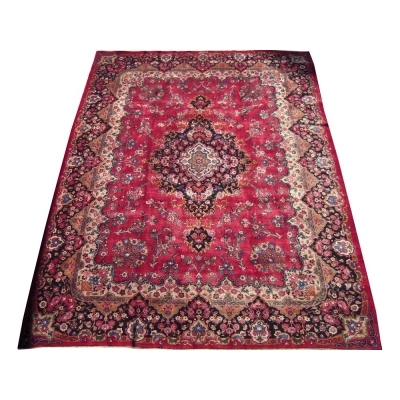 Khorassan rugs are famous for their vivid purplish red, crimson, or vivid red background. 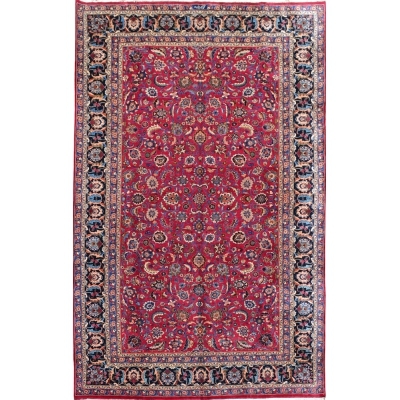 The natural red color is obtained from a plant with red granule that only grows in the Khorassan region. 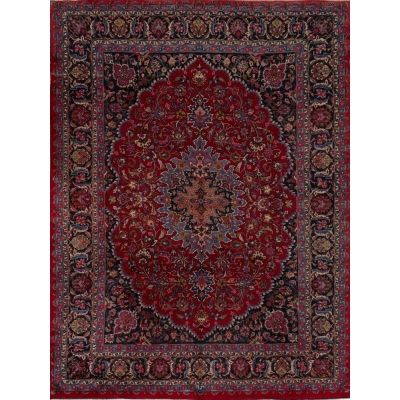 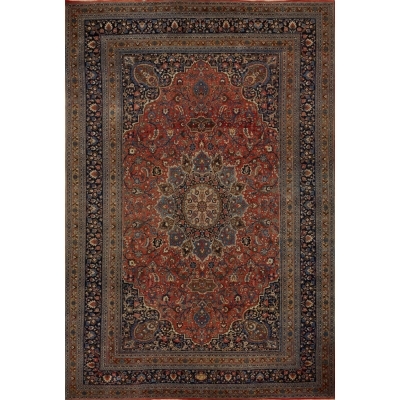 Other general colors that are used in Khorassan and Mashad rugs and carpets are vivid red and purple tones, blue tones, navy, brown tones and a variety of green colors. 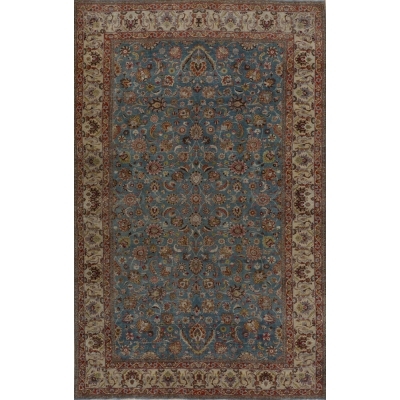 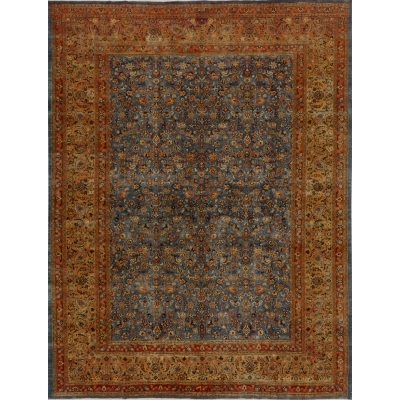 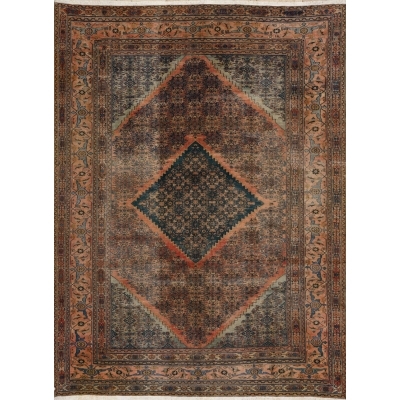 It is also common for some Khorassan rugs and carpets to have a softer and more decorative coloration. 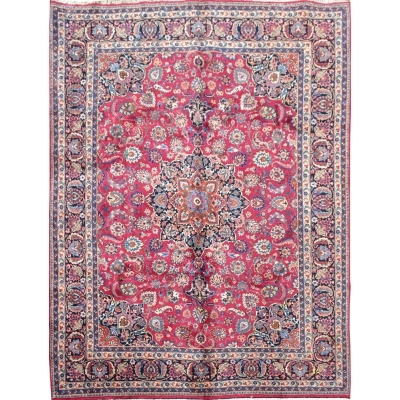 There are many different designs, ranging from all-over patterns to arabesque medallions with corner-pieces, that are particularly noteworthy. 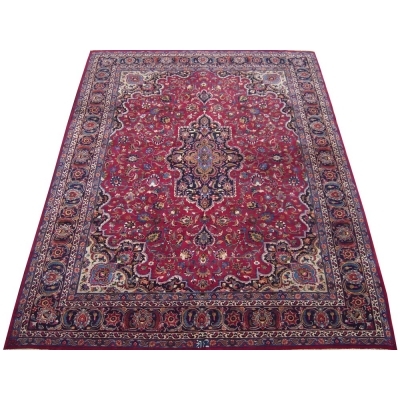 The Herati border is also frequently applied. 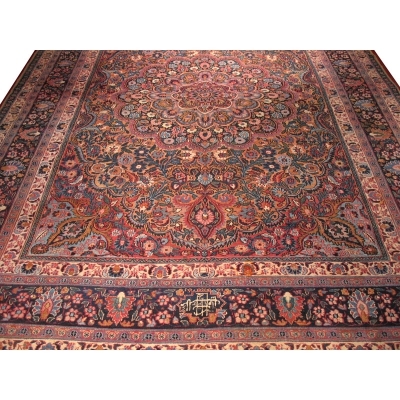 Another significant characteristic of Khorassan and Mashad rugs is the very soft and lustrous wool used in the production.